I have an opinion about pumpkin beers. And since I have a website dedicated to craft beers, I suppose that I should not be keeping my opinion to myself. But as the saying goes, “if you don’t have anything nice to say..” The End. 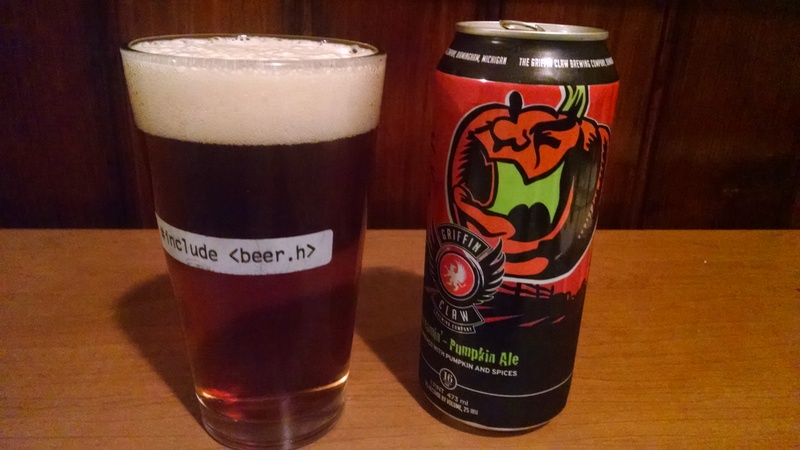 But in all seriousness, it isn’t the _all_ pumpkin beers are horrible. 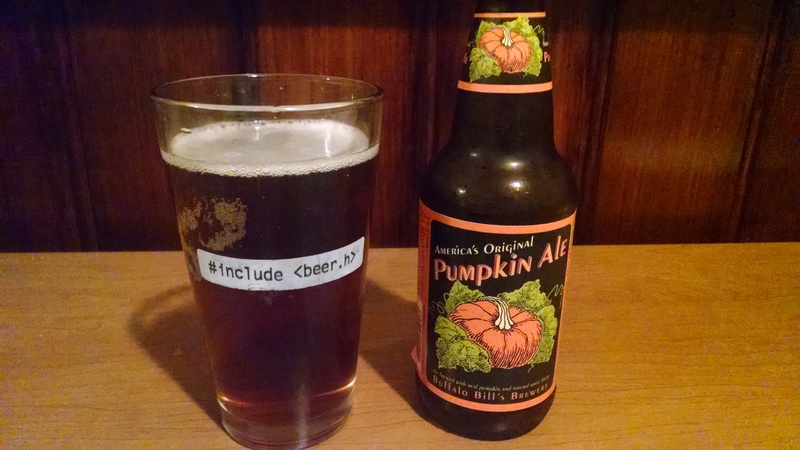 I distinctly remember having a pumpkin beer once. It was on Gordon street. ahhh, I once new a pumpkin beer on Gordon Street, but that was a long time ago, and its name is now long forgotten. And to be honest, I have really been trying to find that beer again. And in doing so I subject myself to all manner of pumpkin beers that I find, but I still haven’t rediscovered that ever elusive, good pumpkin beer. So I figure, why don’t i just get a sampler of pumpkin beers and bring you all along for the ride. After all it is the season, judging by the sheer number of these things I see on the shelves, some of you must enjoy them. So we can work through these beers together, and who knows, we may find gold in them there hills. This beer is sweet. Very sweet. Surprisingly so, especially for a porter, the fall spice flavor is present, but quite light. I don’t think I taste any clove (surprisingly, since it is pretty much a staple in anything that gets made this time of year). The flavor itself feels like a thin shell, kind of like the candy coating on an M&M. The mouthfeel is very light for a porter, and the aftertaste…. yellow. Imagine how yellow tastes, that is it. Unfortunately this one gets very bland as it warms up near the end, not a good sign for a dark beer. This is not the one. This must be a joke. This beer is terrible. I can only compare this to a bottle of soapy water. did something go wrong at the bottling line? It looks like beer, it really does. I have no idea what happened here. Strong, very strong cinnamon flavor (maybe anything tastes strong after that last beer). But still that cinnamon is definitely the predominant flavor in this brew. It has a medium, fairly mellow mouthfeel. substantial without being heavy. The spices get more apparent as this one warms up. 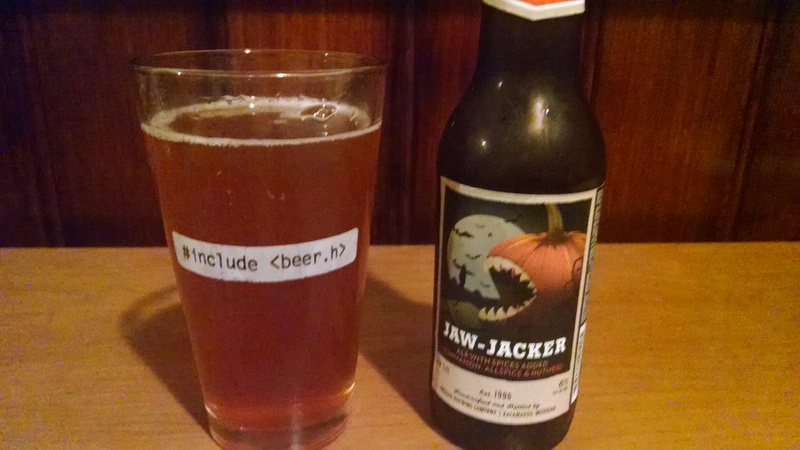 All in all, this one is actually pretty enjoyable, for a pumpkin beer. 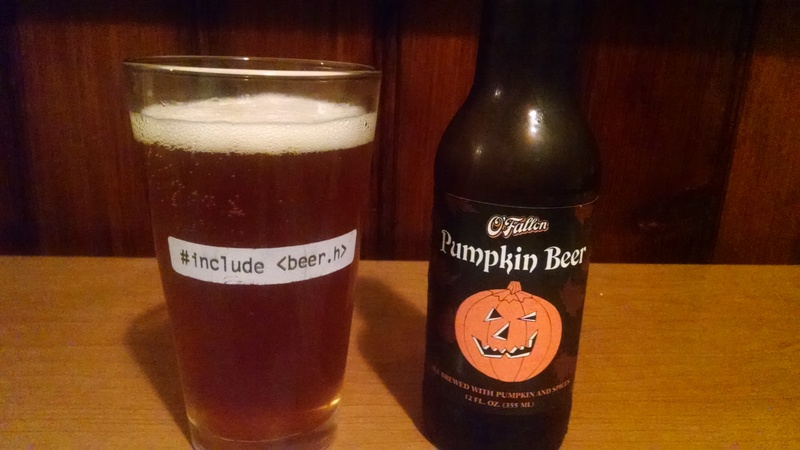 Alas this one still does not make my list of approved pumpkin beers, it may be for some people, but still not for me. That is a bold claim there Buffalo Bill. America’s Original you say? If by “original” you mean, “first draft” then I can see where you are coming from. Is that vanilla I taste in there? Controversial choice, works in some beers, not so sure it works in this one. This beer has a pretty hefty mouthfeel, which is a little uncomfortable considering that it is also pretty light on flavor. The aftertaste is almost caramely, which when combined with the almost vanilla flavor I think I tasted earlier makes this beer almost okay. SPOILER ALERT: this is not the one. But that doesn’t mean that it is not good. In fact this one is probably the best of the bunch so far. The allspice is featured, but not overly strong. There is a tangy flavor that is a little sour (in a good way). The mouthfeel is… effervescent i guess would be the best word. 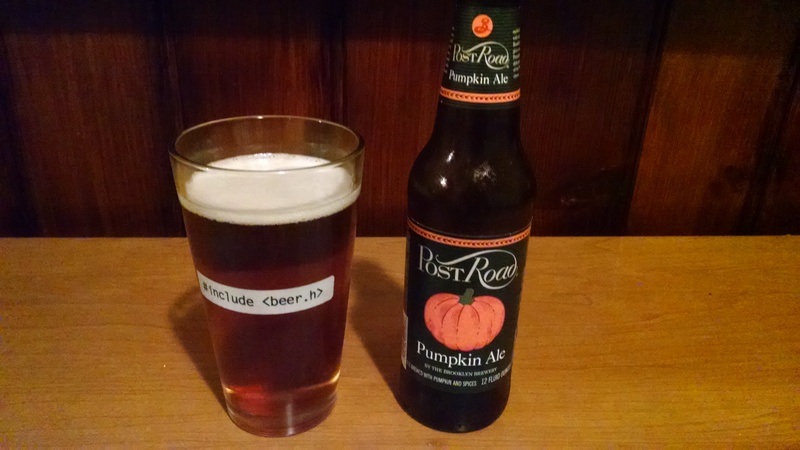 Certainly one of the more refreshing pumpkin beers, but the aftertaste edges on the too sour. This beer is has a fairly balanced flavor. Just between sweet and strong. However… is there an adjective that means celery-like? Not really in flavor, but in feeling. It is crisp but a little lighter on the flavor side than I would prefer. 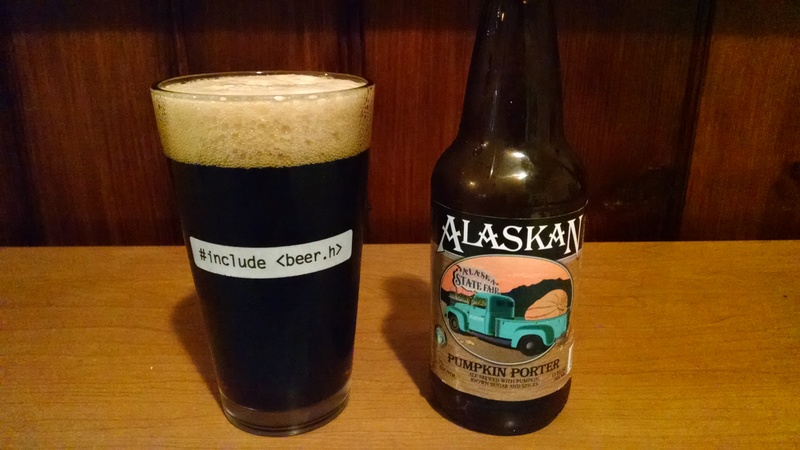 Posted in Blog.Tagged alaskan, arcadia, Buffalo Bill's, griffin claw, O'fallon, post road, pumpkin beer.